It’s the time of year when some families start to consider what new ornament, or ornaments, they’ll be adding to their Christmas tree this year. With that there is always the attention grabbers for the latest and greatest, but sometimes the old traditions are the best traditions. Take the blown glass ornaments found in the Germany pavilion at Epcot for an example. A quick glance around die Weihnachts ecke, The Christmas Corner, will give you a glimpse of some rather peculiar, but traditional ornaments. Everyone knows the story of the Pickle Ornament, so let’s look at the tales of another pair of ornaments. There are many symbols of luck and good fortune in Germany. At the top of the list are the horse shoe and four-leaf clover, but right there with them is the mushroom. It is a staple of storybook illustrations and greeting cards alike. 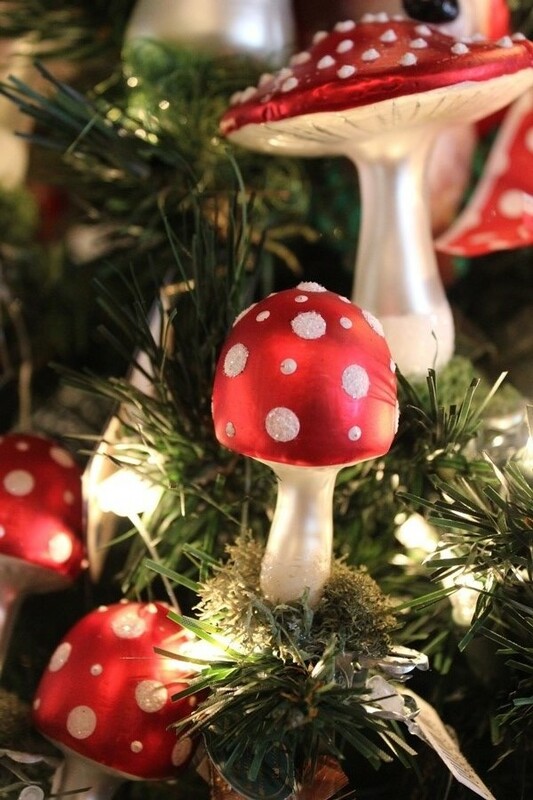 So it is only fitting that the mushroom would also be found in ornament form. It is said that if you give and friend or family member a mushroom ornament as a Christmas present then you are wishing them luck in the professional endeavors and romance. Another odd symbol of good luck is the frog, particularly when it comes to business. The belief stems from the fact that frogs are unable to move backwards or sideways due to their anatomical make-up, so they make the perfect symbol for financial security and prosperity because you can only continue to move forward. 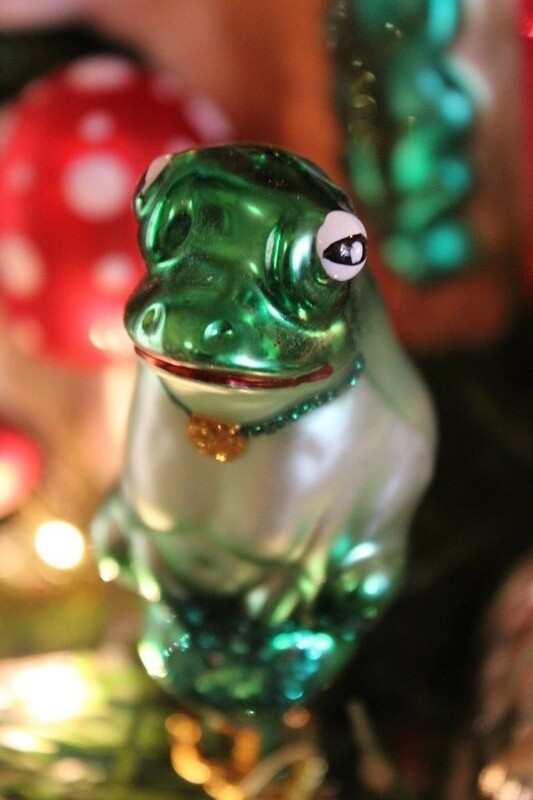 In terms of giving the ornament as a gift, the obvious choice would be to present a frog ornament to someone who is beginning a new business or starting a new position. However, they are also very common gifts for a recent graduate or newlyweds. While we may be looking for an ornament that sparkles against our tree lights, or an ornament that reminds us of a particular time and place, perhaps the best thing we can gleam from our ornaments is a wish for a brighter tomorrow. Germany has you covered when tradition meets the promise of a new year! More shopping info to add to my possibilities list for next trip :) Those mushrooms are very striking.